It's the R2-D2 of the MCU. It's Wilson the volleyball in fabric form. It's the rampaging refrigerator from Requiem for a Dream, if the fridge had only been cuddly and cute instead of monstrous and menacing. 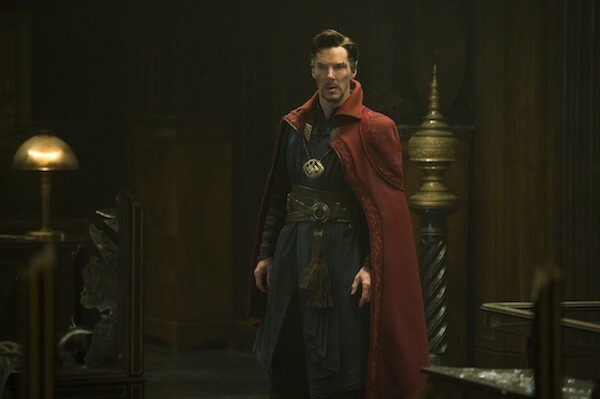 It's the Cloak of Levitation, and without uttering a single word, growl or beep, it's a veritable scene-stealer in Doctor Strange, a fairly entertaining but largely unexceptional addition to the cinematic superhero canon. 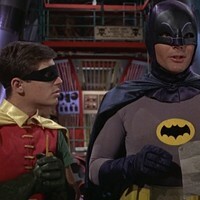 This cape crusader doesn't appear until a significant portion of the picture has passed. Before that, there's plenty of expository material to relate, beginning with a look at the unmitigated arrogance of Stephen Strange (Benedict Cumberbatch), a brilliant neurosurgeon who knows he's brilliant and wants everyone else to know it as well. An automobile accident (his fault, because he's arrogant) destroys his hands but only enhances his unbecoming personality, as he cruelly shuts out his girlfriend, fellow doctor Christine Palmer (Rachel McAdams), and takes up residence in the sanctum of self-pity. But upon hearing of a healer in the Far East who might be able to cure him, he cashes in his frequent flyer miles and soon finds himself taking instruction from The Ancient One (Tilda Swinton), who trains him in the mystical arts. She's assisted by her prized pupil Mordo (Chiwetel Ejiofor), the gruff librarian Wong (Benedict Wong, sharing scene-swiping duties with that cape) and various other underlings, all required to remain alert against Kaecilius (Mads Mikkelsen), a former student who opted to move over to the Dark Side of the Force — excuse me, the Dark Dimension. With Marvel's decision to absolutely glut our theaters with all things excelsior, it's a given that some efforts will be less, uh, marvelous than others — that's certainly the case with Doctor Strange, which feels more like a conveyor-belt product with the expected rinse-lather-repeat beats. The picture has three credited screenwriters (including director Scott Derrickson), but it truly feels like an endeavor in which a committee oversaw every aspect of its genesis. 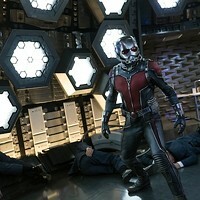 Even Ant-Man, generally not ranked in the upper echelons of the MCU flicks, offers more freewheeling fun than this by-the-numbers assignment, which fails to breathe much life into the origin story (this one feeling similar to the one from Batman Begins) and relying too heavily on visual effects rather than character dynamics (usually, the mix is more balanced in these pictures). The decision-making is most infuriating with the character of The Ancient One. It doesn't bother me that this male figure has been turned into a female one, and others have already been protesting the fact that an Asian wasn't given the role (George Takei has some choice words on this subject) — no, what's heinous is the complete Orwellian removal of Tibet as both the character's nationality and the film's setting (it's been swapped out for Nepal), simply because China is the world's largest market for American films, and Disney-Marvel suits (and apparently their lawyers) didn't want to even acknowledge the existence of Tibet lest it upset the Chinese overlords who approve the country's film slate (co-scripter C. Robert Cargill even stated this before taking back his comments, presumably on Marvel's command). 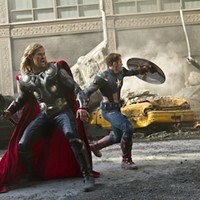 It's an awful if predictably capitalist reason, and it makes one wonder if, had Marvel Studios existed at the time and had Germany not disallowed the import of American films, the studio would have excised any Jewish characters from its movies during the late 1930s for fear that the German market would have frowned down upon them. Rote storytelling and pesky politics aside, the film does offer its rewards, particularly in Cumberbatch's fine performance, some twisty visuals (many cribbed from Inception), and the occasional dabs of gentle humor. As for the Cape of Levitation, it makes its presence known during one of Strange's many skirmishes with Kaecilius and his minions. Like Harry Potter's broom, it chooses Strange rather than the other way around, and it remains busy saving his life, dragging him toward useful weapons, and even taking it upon itself to beat up a lackey. These scenes are among the movie's most enjoyable ones, and they help disguise the more mundane stretches that otherwise would leave the faithful feeling hoodwinked.